The Evans EC2S Frosted gives a nice attack and a solid mid and low-end sound. The control rings add focus and reduce overtones. The Evans EC2S Frosted is made with two plies of 7mil film, with a semi-transparent frosted coating. 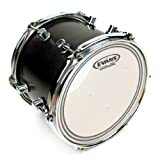 This drumhead is an excellent choice for medium and higher volume situations… The thicker 2-ply design means these heads can be hit hard, to deliver a big and full sound with a short sustain. While the sound is controlled, the EC2S is still relatively responsive for a 2-ply head. If you play very low volume music, however, this drumhead may not be sensitive enough for the job. The control rings on the Evans EC2S add focus and reduce overtones occurring around the outside of the drumhead. The Frosted EC2S has a moderate to high attack, allowing you to cut through in a loud mix. 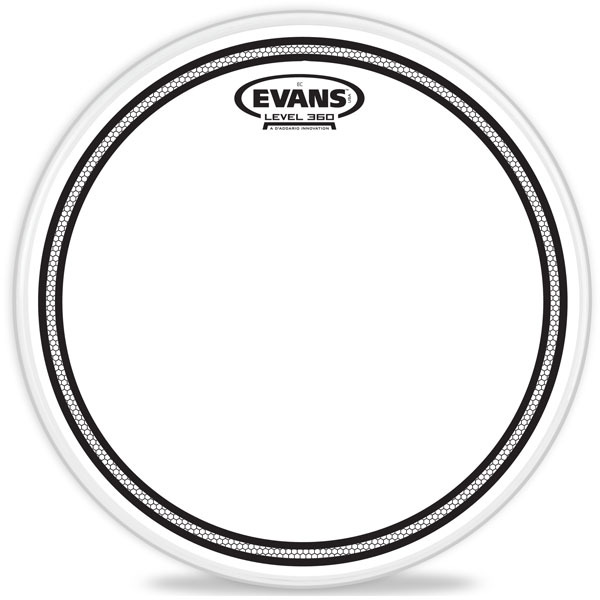 Compared to the Clear EC2S, the Evans EC2S Frosted is slightly warmer, with a little less attack. 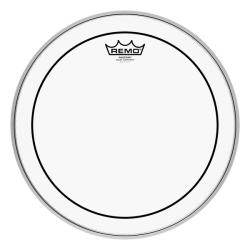 At medium to higher volumes, this drumhead performs very well. If you play extremely high volume music, note that the warmer sound may get lost without microphones on the drum kit. 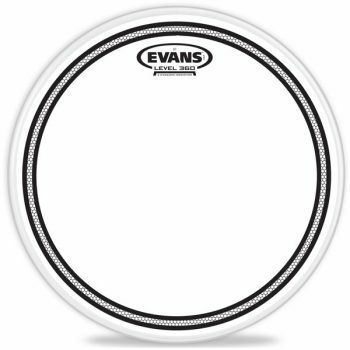 Tip: Take a look at the slightly brighter and more cutting Clear Evans EC2S if you’re worried about this. The Evans EC2S Frosted has a shorter warm sustain with an emphasis on the fundamental note, without overtones getting in the way. The warmer tone and controlled sound is great live and for studio recording… you won’t need to worry about clashing overtones affecting your drum sound. On toms and snare drums, the Evans EC2S Frosted gives a short and focused tone. 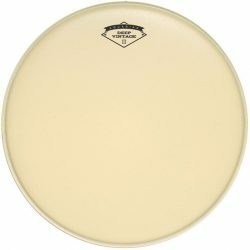 If you want to reduce strange ringing overtones, this is a good drumhead choice. 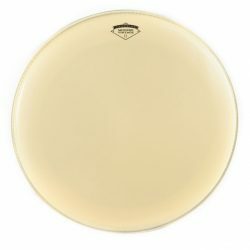 The frosted coating on the EC2S makes this drumhead usable with sticks and brushes, on both snare drums and toms.